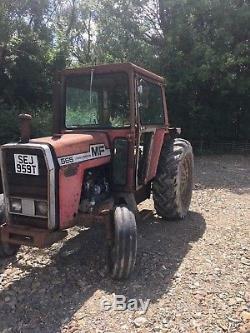 MF 565 2wd tractor standard gear box. 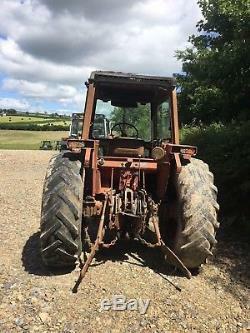 Mechanically good original paint work good reliable tractor without electronics to go wrong And cost a fortune to repair. Needs cosmetic surgery to restore to original. 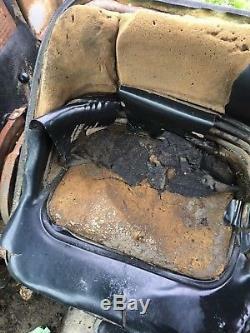 Condition all their even seat is original tatty but original. For appointment please call 07778127867 this is not a new tractor. NO TEXTS ANSWERED + VAT. 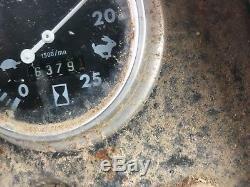 Registered 9/01/1979 Local Number SEJ 959T 6379 hours clock works. Would be a good restoration project. New starter and battery fitted starts instantly mechanically 110%. JONN DEERE TRACTORS ALWAYS WANTED. TRACTORS AND EXCAVATORS AND DOZERS PURCHESED. WE PAY NOT MESS ABOUT. JOHN DEERE TRACTORS WANTED ALWAYS. 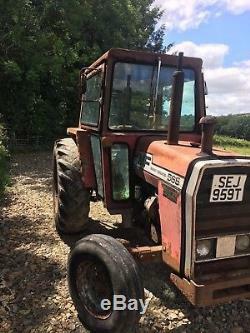 The item "MF 565 tractor massey ferguson NOT 165 175 185 265 290 590 575 390 690 135 698T" is in sale since Wednesday, June 6, 2018. This item is in the category "Business, Office & Industrial\Agriculture/Farming\Tractors\Modern Tractors". The seller is "696nioxde" and is located in Carmarthen.